Dannion with Las Vegas Superstar Terry Fator. With the holidays upon, I cannot help but think back to 1997. That was the year our organization was born, and consisted of just four dedicated people, with one very big dream: No One Need Die Alone. As of 2013, what was once a dream has now become a global vision, fueled by the efforts of the 6,000 volunteers we’ve trained, to date. As co-founder of The Twilight Brigade, and the Chairman of the Board, I am extremely proud of the fact we have the best volunteer caregiver’s training program, in the United States, as well as the most qualified local and national trainers. In fact, The Twilight Brigade is one the few volunteer organizations recognized by JACHO (Joint Commission on Accreditation of Healthcare Organizations) as an outstanding volunteer caregiver’s program. 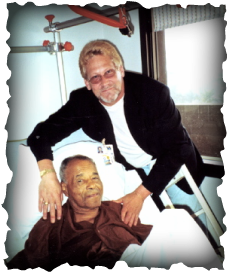 Moreover, I am happy to report, earlier this year we were hand-picked, by the Veteran’s Administration, to contribute to the creation of the standardized model for end-of-life- care volunteers. This landmark standardized model will be implemented in the Veteran’s Hospitals, and then, throughout the entire American healthcare system. It goes without saying that this is an achievement we can all be very proud of…after all these years, I know how proud I am! But, without the contributions of individuals, like you, who share our deep appreciation for American Veterans, we could not have accomplished these great deeds, for The Twilight Brigade cause. Yet, with all of this in mind, we still have a long way to go, because a large segment of our country’s population, known as the Baby Boomers – nearly 78 million of them – have 10,000 members turning 65 every day. This means that the need for more qualified end-of-life care volunteers, along with more caregiver’s support, and grief and bereavement counselors is also increasing every day. With your generous financial support, The Twilight Brigade will have the greatest ability to meet this most unprecedented challenge in the history of American’s healthcare system. As you decide upon where to send your charitable donations, in preparation for your end of year taxes, I ask you to please consider helping The Twilight Brigade. Through your kind contributions, we will be able continue our dedicated guardianship of the end-of-life care needs for those who have served this great nation, when we needed them most. If you have the choice of giving your hard-earned dollars to the government or to us, I sure hope you choose The Twilight Brigade. In this way, you will become a member of our global vision, and because of you, No One Need Die Alone. Terry’s generous donation of $10,000 this year will help us continue our efforts to serve veterans at the bedside and to educate the public about the needs of the dying. 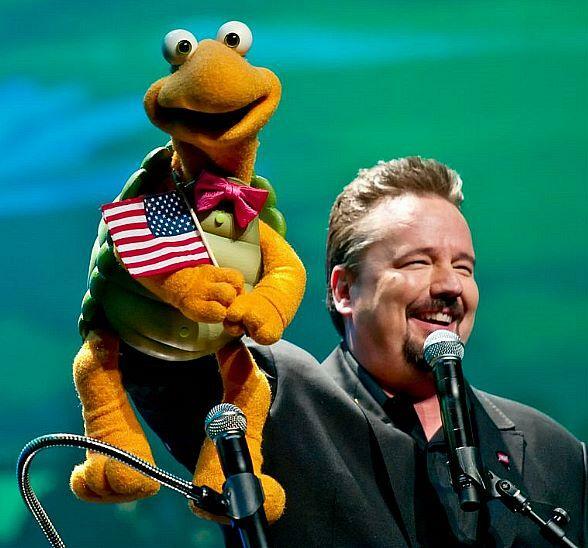 Winner of America’s Got Talent, and Las Vegas headliner at The Mirage, Terry Fator is an avid supporter of veterans and he is a hero to our cause. Dannion, Terry and the entire Twilight Brigade of 6,500 volunteers appreciate your generous gifts and support. 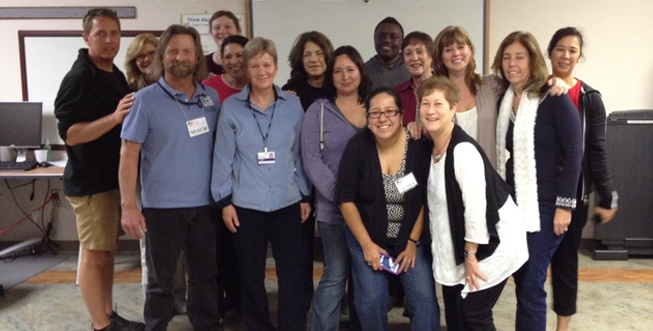 This Veterans Day, make a financial gift to help us train more bedside volunteers... Every bit helps! The Twilight Brigade is a 501(c)(3) non-profit and leader in providing end-of-life care for veterans. Founded in 1997, The Twilight Brigade has recruited and trained over 6,500 bedside volunteers and is in 9 VAs across the country. The Twilight Brigade meets the unique needs of dying veterans and their survivors, with significant results. Its expansion to meet the urgent growing numbers of veterans dying alone, however, depends on you. It's that time of year again! 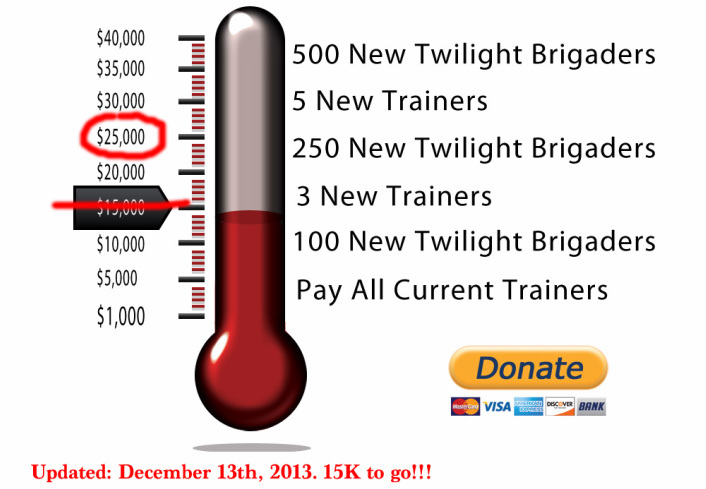 The Twilight Brigade is running its annual end of the year fundraising campaign. It's an opportunity to stand up and make an immediate difference in the life of a veteran. We've raised $15,000 so far and our goal is to raise $40,000 by the end of 2013 which will be used to help recruit and train 500 new bedside volunteers. Here's how your donations help us put compassion into action. We need to raise $40,000 before the end of year to hit our goal!!! "The hardest thing is being alone on this bed. When a Twilight Brigader came to see me I felt appreciated and proud. Thank you my dear friends. Thank you so very much." Veterans from WWII, Korea and Vietnam are leaving us at an alarming rate. According to the Veterans Administration there are an estimated 73,000 veterans passing every month. Sadly, many of them die alone during the holiday season in VAs across the country. We need more volunteers RIGHT NOW in every one of our VA facilities. Your donations help us recruit and train volunteers so no veteran dies alone. Please.... Help us, help them, by making a financial contribution today. For your donation of $25 or more, we will give you a FREE streaming video (90 minutes) of Dannion Brinkley's presentation from Dr. Michael Beckwith's Agape Revelation conference. His inspirational keynote, Coping to Compassion, teaches you how to activate the gift of compassion in your life. PS - This is a great opportunity to take advantage of an end of year tax write off. The Twilight Brigade is a tax-deductible 501(c)(3) non-profit organization.Tax ID # 95-4647935. PPS - We love and appreciate you. Thank you so much for helping us continue this important work. No one should die alone, especially veterans. They were there for us when we needed them. We must be there for them when they need us. Oorah!